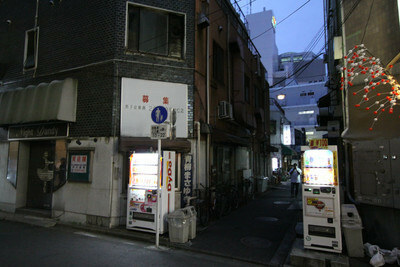 This is the follow-up to the article “Traveling Tokyo with Lonely Planet: Part 1”. 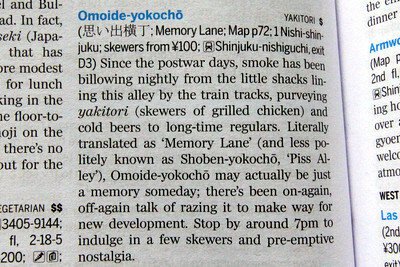 Our blogger Mr.K goes on a brief journey around Tokyo carrying his copy of Lonely Planet with him. 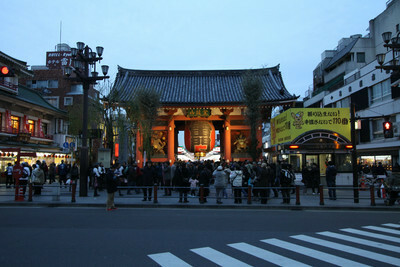 Now he is in a very popular tourist site, Asakusa. so Mr.K just passes by without lingering. His first destination in Asakusa is a public bath house called “Jakotsu-yu”. 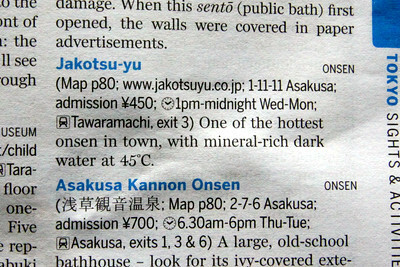 According to Lonely Planet, their hot water comes from natural hot springs! 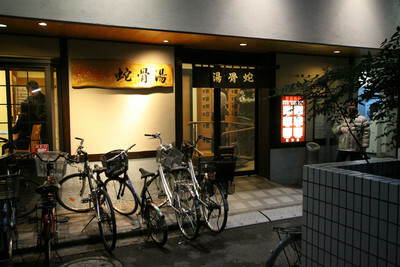 The Jakotsu-yu bath house is located on a dim back street. ‘kotsu’ means bone and ‘yu’ is hot water. Buttons on the ticket vending machine. 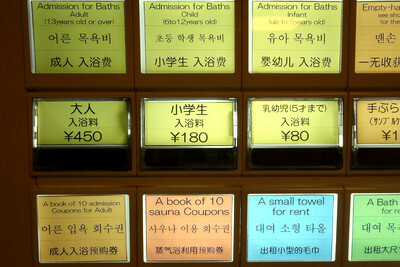 Not only are features written in Japanese, but also in Chinese, English, and Korean. Mr. K scours the pages of Lonely Planet to choose a good place for dinner. 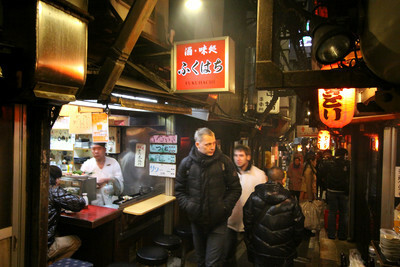 The one he is interested in is Omoide-Yokocho in Shinjuku. but Mr. K’s decision is firm! which reminds Japanese people of the good old days (^^). 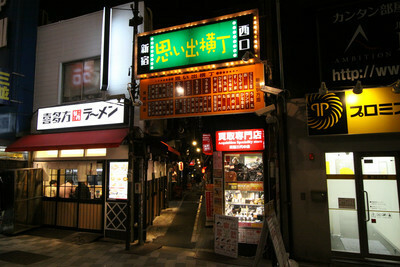 which has plenty of yakitori and cold beer. 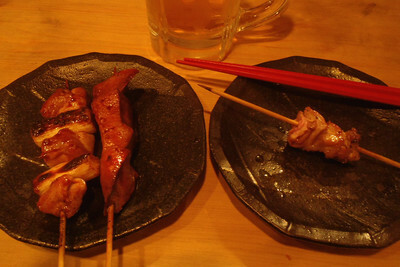 Yakitori (skewered chicken) is grilled in front of the guests. It must be quite fun to watch. 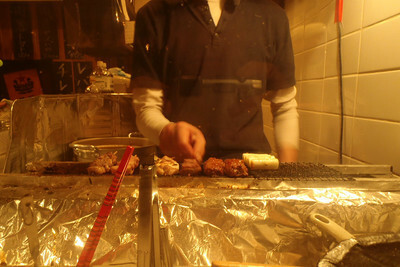 Not only is it fun, but also yakitori tastes so good!! 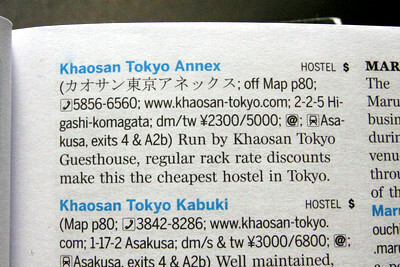 Mr. K’s final destination is a guest house called Khaosan Tokyo Annex, back in Asakusa. 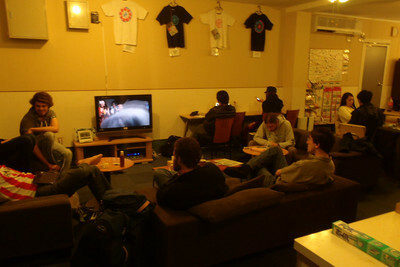 There must be many backpackers from all over the world in this spot.